Hope Haven was running the organization's financials on a legacy accounting system that had become error-prone and unreliable. Data from that system wasn't available in real-time, giving the organization only a rearward view of their financial information. The organization needed a cloud solution with strong integration capabilities. Sage Intacct provides Hope Have International with the reporting they need, as well as the ability to tag data to different dimensions, providing the organization with a much clearer view of their information. Sage Intacct has the ability to incorporate non-financial and operational data into the accounting system, providing the organization with the ability to gather metrics and outcome measures previously unavailable to them without a tremendous amount of manual work. 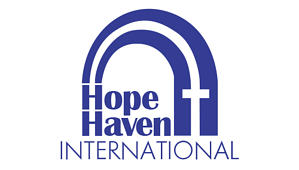 With Sage Intacct, Hope Haven can more easily integrate and connect their accounting system with other business systems, reducing manual data entry and siloed information. "The sad part is having to see the AcctTwo team go." "When we were given the presentations of Sage Intacct, compared to other programs, it was much easier to grasp and the visual sale was great," says Terry Meyer, CFO at Hope Haven. "Sage Intacct did a great job of listening to what we needed and wanted. The other guys spent the first two meetings talking about who they were and why they were so great, while Sage Intacct got right into how they could help us and what we needed." "I think at the beginning, since we are a nonprofit and we are faith-based, all of the companies we talked to thought we’d be more like a church," continues Meyer. "But we’re a servicing organization. AcctTwo caught on to that really fast and listened to us really well. Our main emphasis is servicing activities and AcctTwo understood that quickly and figured out who we are. The sad part is having to see the AcctTwo team go."